FFA - Norwalk Inn to host Hamas-Muslim Brotherhood linked CAIR CT with Khizr Khan as guest speaker. Click here to send your email of concern to Chris Handrinos the owner of Norwalk Inn. The Council on American Islamic Relations of Connecticut (CAIR-CT) will hold a fundraiser on May 6, 2017 at Norwalk Inn & Conference Center, 99 East Avenue, Norwalk, Connecticut 06851. Khizr Khan will be their guest speaker. Millions of Americans are concerned about CAIR’s history and agenda. • Many CAIR officials have been sentenced to prison and/or deported for supporting terrorism. • Numerous CAIR leaders, including their founder and president, proclaim Islamic imperialism over the United States and support for Hamas. 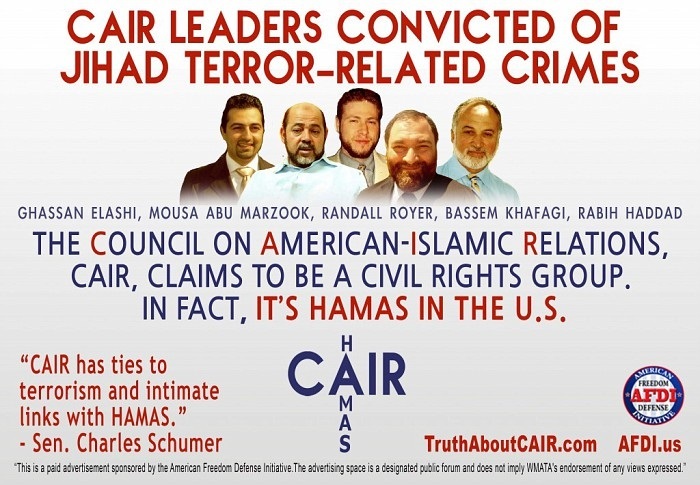 • CAIR leaders defend terrorists. • CAIR is working hard to make Sharia law legal in the United States. The Act for America chapters in South Central Connecticut and Nashua/Hollis New Hampshire asked Florida Family Association to assist in their effort to influence Norwalk Inn to discontinue hosting events for CAIR. Florida Family Association has launched numerous campaigns over the past seven years to urge hoteliers to stop hosting events for Islamist political organizations such as CAIR. Florida Family Association's online campaigns have influenced several hoteliers. * Lodging Hospitality Management (LHM) cancelled the CAIR St. Louis conference scheduled for July 23, 2014. LHM operates 18 hotels. * Ashford Hospitality Trust’s 113 hotels have not catered to Islamist extremists since the May 2012 Islamic Society of North America’s pro-Sharia law conference in Tampa. * Quorum Group’s Hilton Phoenix/Mesa Hilton hosted a CAIR event on November 9, 2013 with a speaker who wrote CAIR’s Islamophobia report. Quorum’s seven hotels have not been witnessed to host other CAIR events since November 2013. * Tishman Hotel Corporation's Sheraton Downtown Chicago hosted the Islamist, anti-Semitic, Hamas-linked Muslim American Society (MAS) and the Islamic Circle of North America (ICNA) conference called “Toward a Renaissance." Americans who are concerned about CAIR’s history and agenda have the First Amendment Right to complain about this event and choose hoteliers who do not give place to the same. Florida Family Association has prepared an email for you to send to Chris Handrinos the owner of Norwalk Inn. Your email will not only voice concern about this important issue but it will also educate corporate officials with facts regarding CAIR's history.